When Kelly Littleton takes the plunge and finally joins Facebook to socialize without the limits that her hearing impairment gives her. On a whim, she looks up a childhood friend. In sending him that first message, she ignites the memories of a crush from twenty years ago. 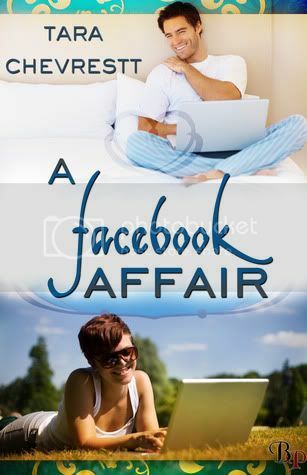 But will they turn into the flames of romance, or end up the ashes of a Facebook affair? Brandon Hopkins has a lot on his plate. A recent divorce, a pregnant sister, and now, he realizes he's in love with a woman who lives states away. Can he overcome the boundaries of internet romance to make this desire turn into something real, or will adversity and distance be their undoing? I really loved this short story. This little romance story is very well written. It made me sad at parts but that is ok because it also made me smile. I read this last night and I could not put it down. If you like good short romance books, I suggest you give this one a read.